Maximize mobile POS with Citizen printers, the Citizen CMP-20II and CMP-30II mobile printers from Barcodes put barcode label and receipt printing in the palm of your hand. It allows you to print on the go, giving you freedom to do more tasks, more affordably, in more places. Don’t waste time to go back and forth to print receipts and labels. Watch the video below and see how Citizen’s CMP-20II and CMP-30II mobile computers can increase efficiency and productivity in your operations. What do Workers Want From Their Mobile Printers? Flexibility– workers can work with both hands while the mobile printer is hooked on a belt or mounted in a vehicle. Reliability– need a purposely built rugged device for everyday use on the go. Compatibility– must work well with other devices that workers are using. Simple– ease of use and non-complicated controls. Fast– no time for delays with an uncooperative printer. Easy to Carry– can be worn on belts or shoulder straps for easy accessibility. 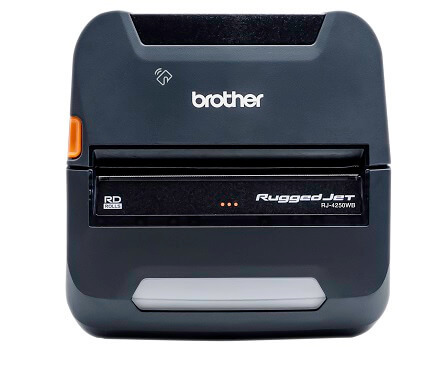 The Brother Rugged Jet RJ4250WBL mobile printer can provide the solution to meet your needs. In manufacturing and warehouse environments, with the RJ4250WBL mobile printer clipped to a belt or mounted on a forklift, workers can print high quality labels for finished goods, bins, shelves, shipping, work in progress tickets, and more. It can easily and wirelessly print the media that you may need on the manufacturing floor from PCs, handhelds, tablets, and smartphones. With Mobile Deploy, the mobile device management app by Brother, you can now maintain and update your entire fleet of mobile printers remotely. Long gone are slow and manual updates. With Mobile Deploy App you can save time by allowing your administrator the ability to post updates to the cloud. From there your employees can download the update and apply it directly to the printer, saving hours of manual and instructional calls to get their printers up and running. Capable of updating firmware, fonts, and templates at once, you can keep all your mobile printers up to date all the time. When you’re on the manufacturing floor, there’s no room for downtime. Reduce labeling errors at end of a line and label your items on the spot. Give the workers what they need to work efficiently and maximize your profitability in your business. 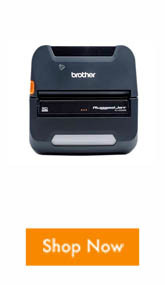 Contact us and discover the solution to increase productivity and efficiency with the Brother RJ4250 mobile printer. Retailing has evolved, but has your mobile printer? In today’s new retail reality, there is no room for downtime. 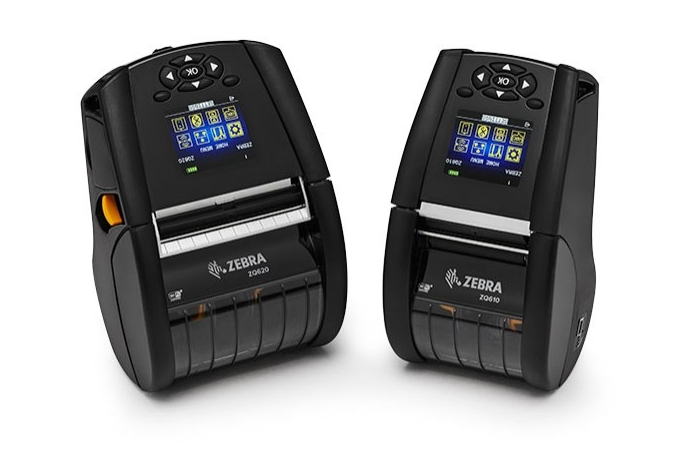 The Zebra QLn Series reinvents itself as the new ZQ600 Series of mobile printers for retail. 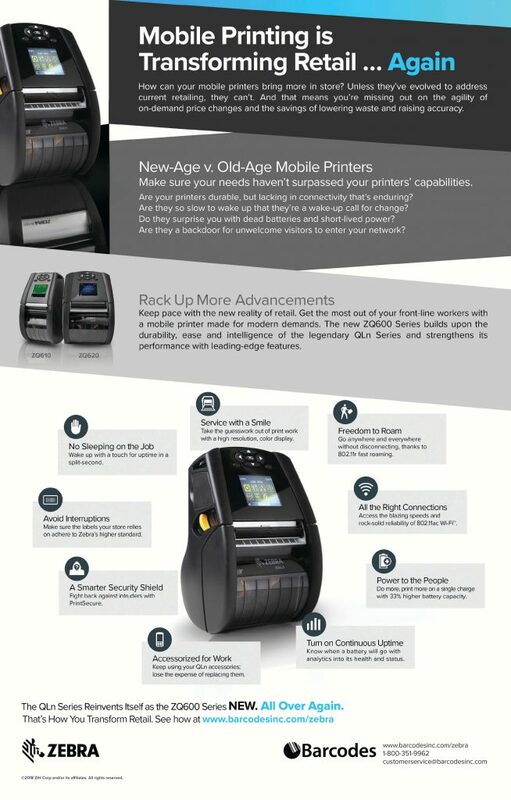 Read the infographic on the ZQ600 mobile printer series for more information. Contact us at Barcodes if you need a printing solution, we can help tailor a solution that can help you transform your retail shop. The Honeywell RP Series are for workers who need a mobile printer for direct store delivery, route accounting, citation printing, or field work. This rugged mobile printer is light to carry but can withstand frequent drops, vibration, and exposure and give you years of reliable receipt and label printing on the go. 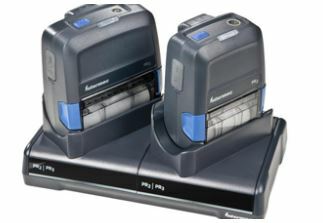 The RP Series mobile printers comes in 2- inch and 4- inch print width to match your application. Featuring the latest wireless technology for on-the-go use, optimized for quick and all day printing, this printer can increase up-time and increase workers productivity. Connected device and the RP mobile printers set up quick access to order fulfillment applications ensuring that improvement for operation workflows. Data accuracy, battery life, and durability are some of the key characteristics that are considered important while evaluating devices for worker to use. With the RP mobile printer, the worker can focus more on the task where there’s a reliable printer on the job. Together, the RP2 and the RP4 can help enhance your operations. Contact us if you would like to learn more or interested in our mobile solutions to help your workers reach peak performance. Brother’s Next Gen 4 Inch Mobile Printer is Here! The Brother‘s Next Gen 4 inch mobile printer is here! 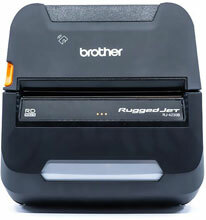 The RuggedJet RJ-4230BL mobile label and receipt printer is raising industry standard with these key features. This small mobile printer is perfect for leading industries in public safety, field services, route accounting, warehouse, and transportation. Workers will be able to print 4 inch labels, tags, invoices, quotes, receipts, and more on the spot straight from your mobile device. The RuggedJet 4 mobile printers have the reliability that all your job needs, with optional accessories such as extra batteries, shoulder straps, belt clip, vehicle mount, in-vehicle DC adapter, and a 4 bay battery charger to keep your business running on the go! Contact us to see how we can tailor a solution to make your mobile workforce more productive with the Brother’s RJ-4230BL mobile printer. Optimize performance for your workers with the compact, lightweight, and extremely fast printer, the FP541 mobile printer. 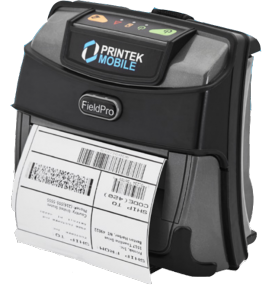 Whether you’re out in the field, on the road making deliveries, or on a customer’s site, this portable printer is the best choice for 4” receipt, label, tag, and ticket printing. The FP541 can quickly print with print speeds reaching up to 5 inches per second. Has an IP54 rating for water and dust resistance and rated for repeated 6 foot drops to concrete. Built-in emulations of other popular printer brands allows the FP541 to drop-in and replace many existing applications. Printek has fulfilled the business needs of organizations worldwide. Leading the industry with mobile printers designed to improve productivity and increase the return on investment (ROI). Enhance efficiency by improving field transactions and invoicing! Trade-in any 4” mobile printer for the new FP541 and get $50! Buy a FP541 mobile printer from our site. Printek will provide a return authorization number for these printers. Once RA numbers are obtained, you can ship it to Printek. After trade-in printers are received, Printek will issue a $50 credit or check for each qualifying purchase. Contact our mobile printer team and learn how you can take advantage of this deal and how the FP541 can help you in your daily operations! The ZQ600 Series Mobile Printers are premium mobile label and receipt printers for maximum productivity, ease of use, and manageability. The new ZQ610 (2″ inch) and ZQ620 (3″ inch) printers are instantly ready. No idle time. Full shift power with 33% increase in battery capacity. Latest wireless technology, secures printer and data. Print DNA simplifies remote management allowing centralized commands and control. Easier User Experience, less training and IT interference. Compatible with QLn Series accessories. With Zebra certified supplies you will get the best quality output everytime! The ZQ600 Series delivers all the features needed to maximize associate productivity and customer service. Workers can print everything from shelf labels to item tags, anywhere, right on the spot. The new ZQ600 series’s advanced platform can grow with your business from improving inventory management to customer service out in your store. Contact our dedicated account managers to learn more about the mobile printers along with the service and support we can provide for you. Star Micronics, one of the largest providers of POS printers, has developed a special line of products for use in cannabis stores and dispensaries. 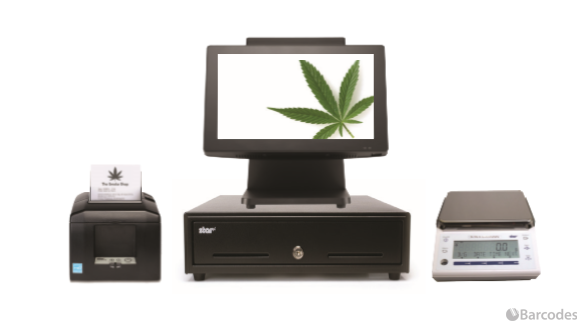 The Cannabis POS collection includes POS/ label printers, NTEP (National Conference of Weights and Measures) approved weed scales, and cash drawers that are compatible with most POS software for easy set up. POS Printers include the TSP100III, TSP650II, and the TSP700II thermal label printer with high reliability and many interfaces to choose from. Mobile Printers such as SM-S230i and the SMT300i are for in-line transaction, pre-order, and delivery that allows employees to assist customer and take orders from anywhere in the store. Long battery life that is suitable for a whole shift. The CD3 Cash Drawer have 13″ or 16″ models available, lockable with durable steel construction. Cannabis products face stricter regulations than most other products, the receipt then becomes a proof of legal purchase for the consumer and Star Micronics’s printers can provide the durable printers and cash drawers for that transaction. Check out the selection that they have with us! Give our dedicated account manager a call if you have a question or would like a quote in any of products above. 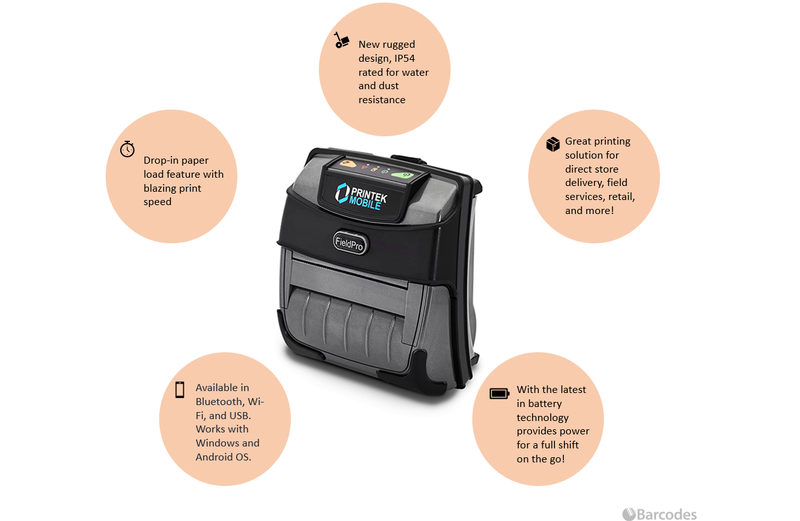 When it’s services on the go, out in the field, or at a customer’s site, the new 4″ FP541 mobile printer will help improve operations and productivity in your workforce. The FP541 is an updated advanced version of the previously popular RT43 series from Printek. It is fast, compact, and lightweight which is ideal for workers out in the field printing tickets, labels, and tags. The Field Pro 541 printer also have a wide variety of accessories and mounting options such as shoulder strap, spare batteries, in-vehicle, cart, and fixed mounts available to help with mobility and installation in vehicles. Check out all the powerful features below and see how the FP-541 stands out from its competitions. If you have any questions or interested in a quote, feel free to contact our dedicated account managers. The small and lightweight PR2/PR3 receipt printer from Honeywell is the perfect fit for mobile field workers who need a mobile receipt printer in the agile work force. They deliver a quick, compatible, and upgradable solution that’s ideal for invoice printing and mobile point of sale applications. Available in two and three inch print width, the mobile printers can be worn all day and withstand 4ft drops to concrete. 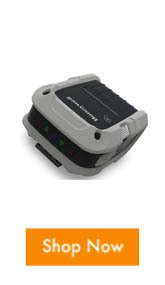 The PR series can connect seamlessly via Bluetooth or IrDA to produce receipts in high demand. It is also MFi certified, made for easy pairing with Apple iOS devices. The PR series and its’ accessories are designed to enhanced productivity and reduce cost of ownership. With its fast time to first label and excellent battery endurance for all day mobile printing provides a productivity advantage to your workforce and swiftly providing your customers with a printed invoice. For any questions or a quote on any of your mobile printing needs contact us at Barcodes, Inc.